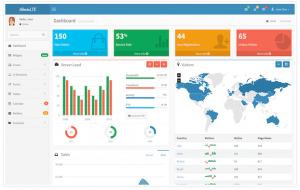 Admin LTE is an absolutely stunning free Bootstrap dashboard theme from almsaeedstudio. It is fully responsive and built on top of Bootstrap 3 . Read here for more information. According fronteed.com, iCheck provides plenty callbacks, which may be used to handle changes. ifCreated callback must be binded before plugin init. Methods, these methods can be used to make changes programmatically (any selectors can be used). Lets try my simple code below, how to use checkbox adminLTE dashboard framework. Thanks for the article. Saved me lot of time. I just couldn’t figure out why jQuery for Checkbox was failing in Admin LTE. not failing, because checkbox in LTE not handle by jquery but handle in LTE script. any way to disable the iCheck plugin?